How Does a Flight Instructor Know When a Skill is Mastered? Understandably, we get this question a lot. Most instructors know which skills they want to train in the simulator, but few know exactly when a student has mastered those skills. While a flight instructor ultimately determines mastery, the flight school can adopt a few, simple practices to make student evaluations easier. Establish a standard for the minimum level of proficiency that each student pilot must exhibit in the simulator before moving to the airplane. Then, communicate and distribute your standards to all your instructors. These two, simple steps are integral to defining and spreading pilot proficiency throughout your organization. The standards you adopt are up to your discretion. If you're looking for direction, the FAA's new Airman Certification Standards (ACS) are a good starting point (since ultimately they'll be the end point as well). The ACS provide objective measures for determining proficiency. For example, if you’re training steep turns, the ACS specify that students must demonstrate the ability to maintain the entry altitude ±100 feet, airspeed ±10 knots, bank ±5°, and roll out on the entry heading ±10°. In most schools, these standards are suitable for simulator training. However, perhaps your own data suggests that your students seamlessly transition to the airplane when they can maintain ±150 feet and ±20° of heading. That’s fine too. Either way, these standardized minimums will help clarify when students are prepared to perform maneuvers in the aircraft. Your school’s standards also provide perceptible goals for students, which can prevent them from becoming discouraged. Instructor eye tests can feel ambiguous to student pilots, especially if they are the only criteria for evaluations. Students who are struggling with a skill can begin to doubt that a license or rating is achievable. No one wants that. If you expect your students to maintain ±10 knots during ground reference maneuvers, then communicate that to them! Of course, students still can become frustrated, but at least they know how they need to improve. Transparency is best. When used correctly, simulators are ideal for engaging and encouraging your students. Simulators enable you to start, pause, and restart flights. You can begin a flight, evaluate a student’s strengths and weaknesses, and immediately either adjust the difficulty of the scenario or change the scenario entirely. Perhaps you're training approaches near mountainous terrain, so you cue up the approach into Yellowstone Regional Airport (KCOD). However, a couple attempts reveal that the student is struggling to fly a non-precision approach. No problem. In seconds, you can reposition the student anywhere in the world. You can have them try somewhere like Olympia Regional Airport (KOLM), which accommodates both precision and non-precision approaches. Technology also is invaluable for tracking and aiding student progress. That was the thinking behind GIFT, which guides the student’s maneuvers training with objective scoring and feedback. GIFT helps transition the student from the simulator to the airplane in a few, key ways. While each student works toward your school’s uniform standard, GIFT helps instructors set individualized, attainable targets. If you’re concerned about overwhelming students with standardized minimums, this is the answer. GIFT allows both the student and instructor to access the student’s score history. So, for students struggling to meet the school’s minimums, the instructor can utilize GIFT data to set micro-goals and adjust the training regimen for long-term success. This can be especially helpful for daunting skills like landings. Beyond pilot proficiency, it also helps the student develop and demonstrate pilot fluency. Repetition of a maneuver with the GIFT software will guide students to proficiency. Then, after weeks of training different maneuvers, the student should perform the initial maneuver again. Over time, by tracking the student’s score history, the instructor can see if/when the student is able to demonstrate a level of fluency. For critical maneuvers like stalls and steep turns, this is an effective way for both instructor and student to feel comfortable progressing to the aircraft. When he was the head coach of the New York Giants, Tom Coughlin famously fined his players for not being early to meetings. They weren’t late; they just weren’t early enough. He demonstrated a very literal interpretation of the phrase “5 minutes early is on time; on time is late; late is unacceptable.” Whether you agree with him or not, his message is simple: to be over-prepared is to be prepared. The flight training industry should take that message to heart. It can be tempting to advance students to the airplane prematurely. Understandably, instructors don’t want to waste their students’ time and money, nor their own. However, it’s a lot easier to damage a student’s wallet and confidence in the air. 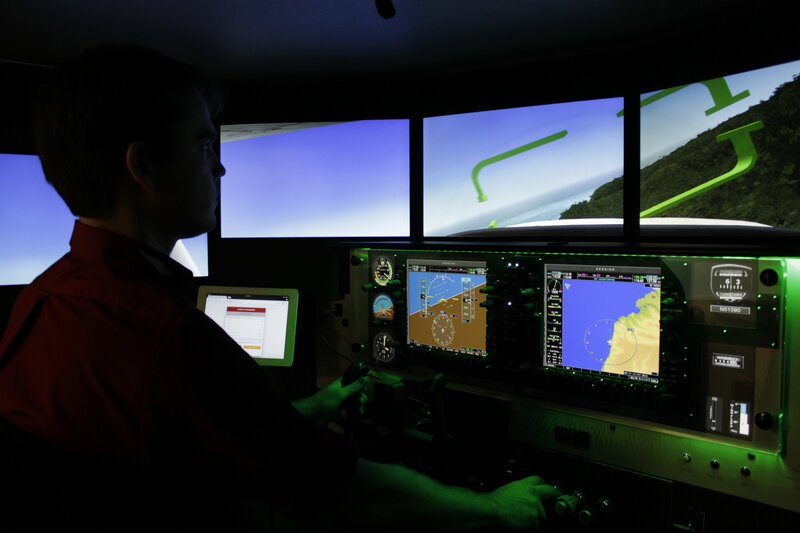 Developing skills in the simulator is more effective and cost-efficient. So, if the student over-prepares somewhere, make it the simulator. Additionally, as the FAA will tell you, overlearned skills are useful to pilots when it matters most. Overlearned skills help pilots automatically identify and execute the correct procedures. Under stress, skills that are drilled into the pilot’s psyche tend to persist. These skills help pilots evolve from “knowing” to “feeling and reacting,” which is critical in the cockpit. “Lastly” is the keyword. While invaluable, the instructor’s eye test can be overstressed early in a student’s evaluation. If a student doesn’t meet your school’s standards, then they don’t step foot in the airplane. Period. The school's minimums shouldn't be treated any differently than those that pilots honor for their own flights. That said, when the student hits the standard for a maneuver, the instructor still should consider his or her own observations before moving on to the aircraft. The student can demonstrate proficiency in a maneuver without developing the type of aeronautical decision-making and confidence that an instructor wants to see. If that’s the case, continue drilling tasks in the simulator until the student is visibly prepared. Patience is more than a Guns N' Roses song; it's a virtue.